There was positive news at todays Tralee municipal district meeting council meeting following questions raised by a number of councilors. 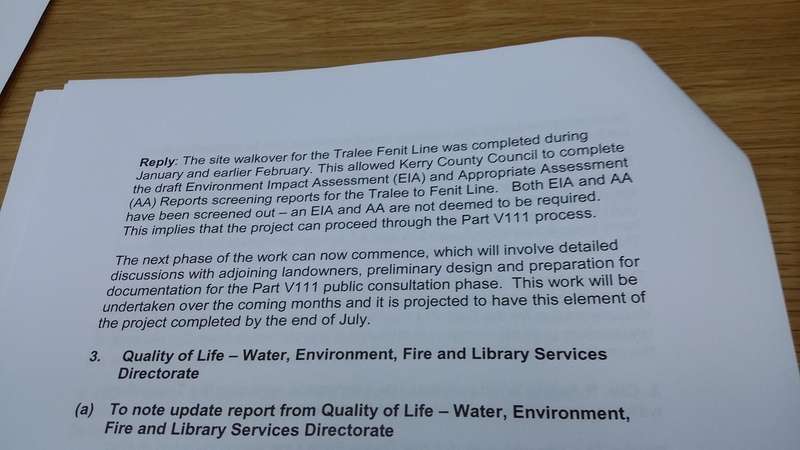 Kerry Council council confirmed that they have now completed the Environment Impact Assessment (EIA) and Appropriate Assessment (AA) screening reports for the greenway, these reports were required in order to determine the planning with is required for the project. EIA Screening is carried out in order to determine if an Environmental Impact Assessment is required while the AA Screening determines the potential effects, if any, of the proposed project on sites with European conservation designations, i.e. Natura 2000 sites located nearby. The findings of these reports is positive recommending that the remainder of the project can proceed under a Part 8 planning process (similar to the previous phases of the project) rather than requiring a more laborious and expensive application to An Bord Pleanala or a full Environment Impact Statement (EIS) which has caused delays in the delivery of the South Kerry Greenway. Kerry Council Council also confirmed that work will now commence on preparing this application and reopening of dialogue with landowners and residents whose land adjoins the former railway, this is expected to be complete by July. As per the part 8 planning process the council will then publish their proposals for the remainder of the line and the public will have an opportunity to make observations, all going well the results of the process should be known by late September or October. 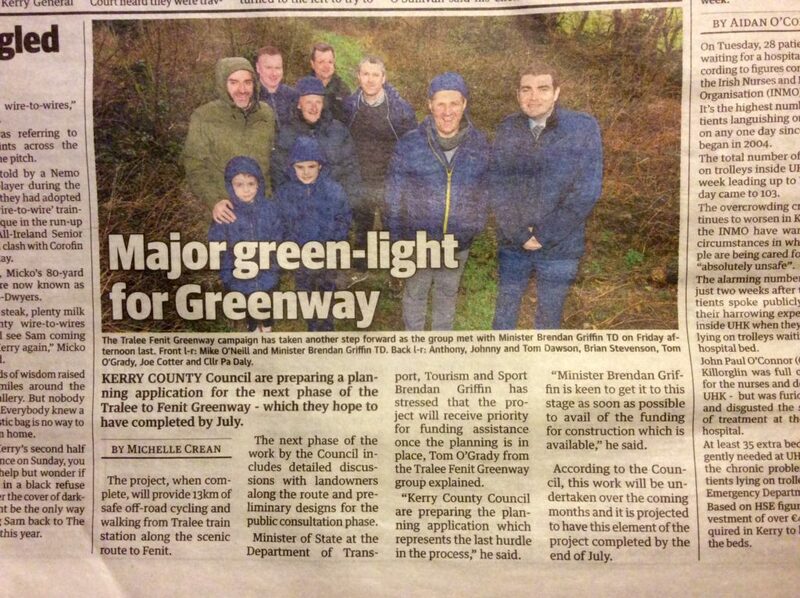 If the project receives planning approval it will be in an ideal position to contend for national greenway funding which is due to open at the end of the year.